MARCH 5, 2016 — E! News can confirm Joey + Rory member Joey Feek has died after a battle with cervical cancer. She was 40 years old. “My wife’s greatest dream came true today. She is in Heaven,” Rory Feek wrote on the blog today in a post titled A Dream Come True. Joey + Rory is an American country and bluegrass duo composed of singer-songwriters Rory Lee Feek and Joey Martin Feek, who are husband and wife. Joey is the duo’s lead vocalist, while Rory sings background vocals and plays guitar. The duo was the third-place finalist on CMT’s competition Can You Duet in 2008. That same year, Joey + Rory signed to Sugar Hill/Vanguard Records, releasing their debut album The Life of a Song in late October. This album’s lead-off single, “Cheater, Cheater”, was a Top 40 hit on the Billboard country charts. Although none of their other singles made top 40 on that chart, the duo released seven studio albums in total. 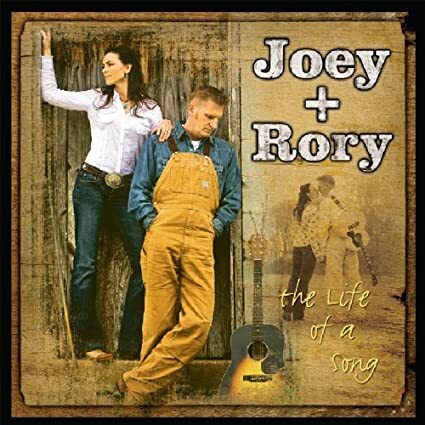 The Life of a Song is the debut studio album from the country music duo Joey + Rory. The album was released on October 28, 2008 via Vanguard and Sugar Hill Records. It was produced by Carl Jackson. The album features songs which Joey and Rory sang on Can You Duet.